I can truly say that I have some of the best friends in the world. This past weekend was not only my bridal shower, but my birthday as well. The day started off kind of rocky because my body decided that 4am was a good time to wake up for no reason at all. After trying to fall asleep for about an hour and a half I gave in and got up. I went to a gas station to grab a Diet Coke, then went to work at my house. The shower was in my backyard so I wanted to ensure that everything was perfect inside and out to avoid the stress of people coming to my home. My sister and I ran some errands to get any final items that we needed, then it was go time. My mom came down to help set up and my best friend/maid of honor came with all of the decor. We spent the afternoon setting up tables, a backdrop, giant balloons, the works. At five my friend came (who is also the florist for my wedding) with some centerpieces. The other bridesmaids also showed up with all of the food, favors, etc. We finished just in time for the guests to arrive. If we are being honest it was a very large shower with a lot of guests, but I wouldn’t have it any other way. I think the best part was spending time with so many people I love and care about. 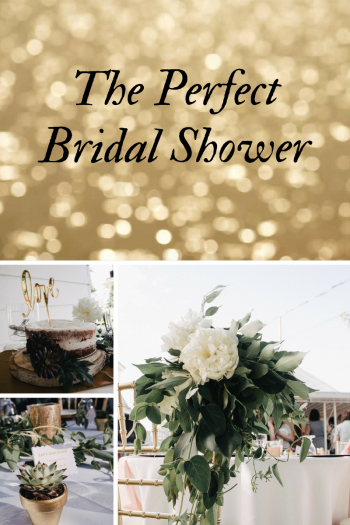 And knowing that my amazing bridesmaids were able to pull of the perfect shower for me (classic garden party theme), there’s no way I could ever thank them enough.